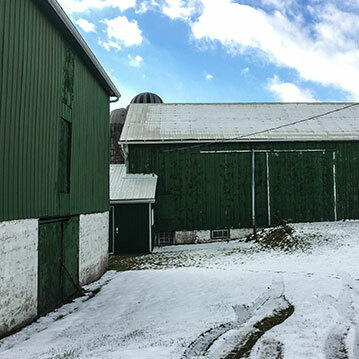 Holsteins were the tradition on the McHolm farm from the 1800s until 2000. 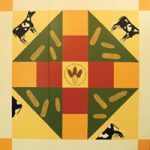 The churn dash quilt pattern and the butter colour background allude to the dairy industry while the trophy for wheat noted in the centre was won at the Royal Winter Fair. The farm is still in operation with cash crops.